Square announced on Monday that the company was adding support for Bitcoin to Square Market, the company's online storefront. The system allows users to choose to pay with Bitcoins, but Merchants get paid immediately in U.S. dollars. This last factor—paying merchants immediately in U.S. dollars—means they can accept Bitcoins without having to mess with Bitcoins. In fact, it will be completely transparent to the merchant. More importantly, they will be isolated from the wild price swings the digital currency can experience on a daily basis. This is a step forward for Bitcoin as a functional digital currency, and it will be an even bigger deal if Square expands Bitcoin support to its network of brick and mortar merchants. How does it...err...how does it work? 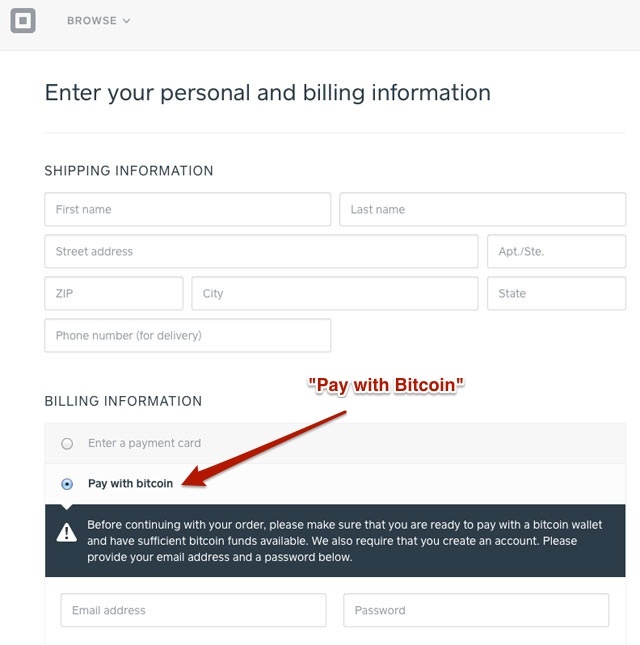 Bitcoin is listed as a payment option when a Square Market customer goes to check out. It's listed below credit cards, and is only open to customers who register with Square. Once the customer chooses Bitcoin as their payment method, Square works with Coinbase, an online wallet, to generate a new Bitcoin address that is attached to that order. 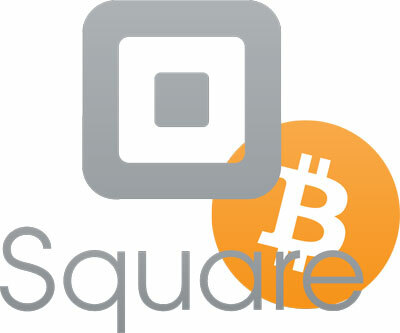 That address is then monitored by Square until the Bitcoin is detected. Customers with a mobile device and a mobile wallet can scan a QR code generated by Square to automatically load all the details of the transaction, including the recipient address. Users with another wallet will be given other instructions for finishing the transactions, instructions that largely come down to using copy and paste to send Bitcoins to the address. "Keeping it simple for the seller," Ajit Varma, Square Market Lead, wrote, "the seller receives the amount of the purchased goods or services in USD and in the amount of USD advertised to the sellers' customer at the time of transaction, so the seller takes no risk on Bitcoin value fluctuations. The seller then fulfills their customer's order. Seamless!" By isolating the merchant from Bitcoin fluctuations, Square takes on the risk of crediting the merchant with U.S. dollars immediately. For that risk, Square is taking a 3 percent fee, roughly on par with credit card charges. Of course, one of Bitcoin's benefits is that it's cheaper (1 percent or less in fees to the network per transaction) than credit cards, but Square's fee is likely in keeping with the risk the company is assuming.